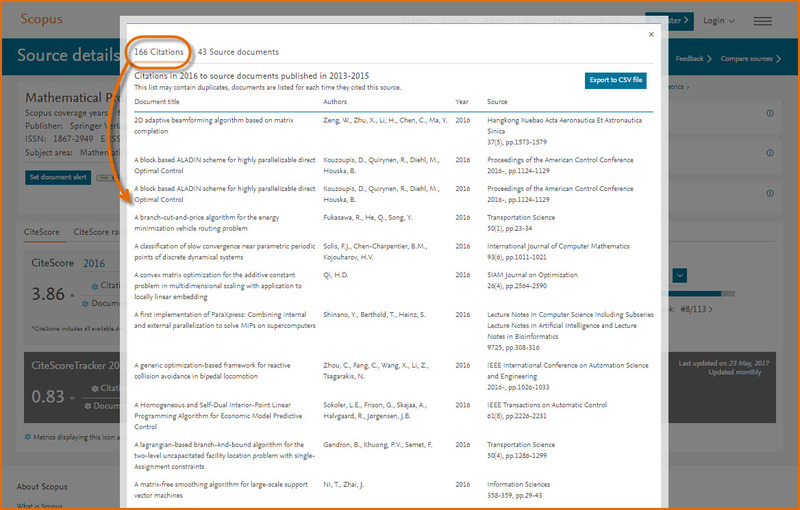 Let’s look at the title Mathematical Programming Computation, published by Springer Nature. With a CiteScore 2016 value of 3.86, this title is ranked #8 out of 113 titles in its field, placing it in the 93rd percentile. 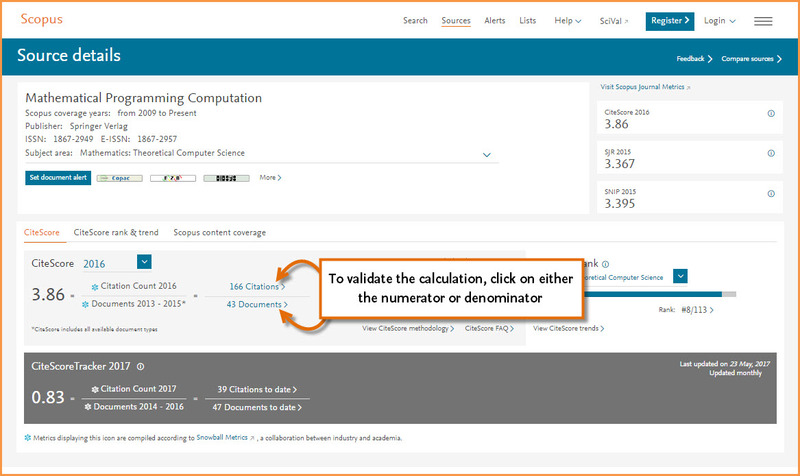 To determine exactly how the 3.86 CiteScore value was derived, go to the Source details page on Scopus, find the calculation and click on the numerator (citations). 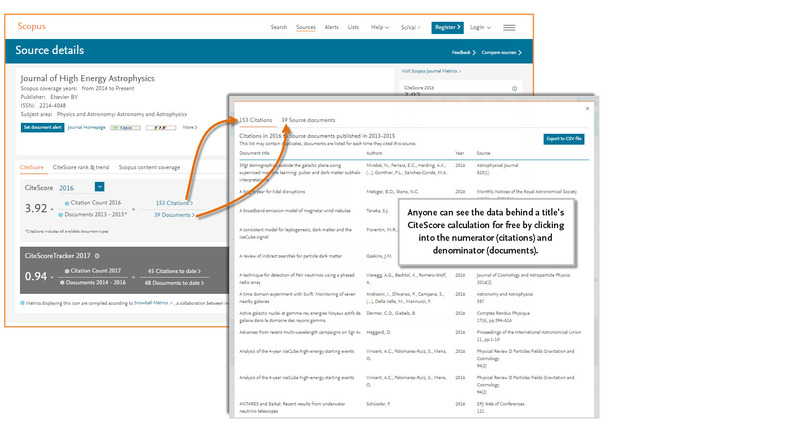 This opens the list of 166 citing documents used for the calculation. 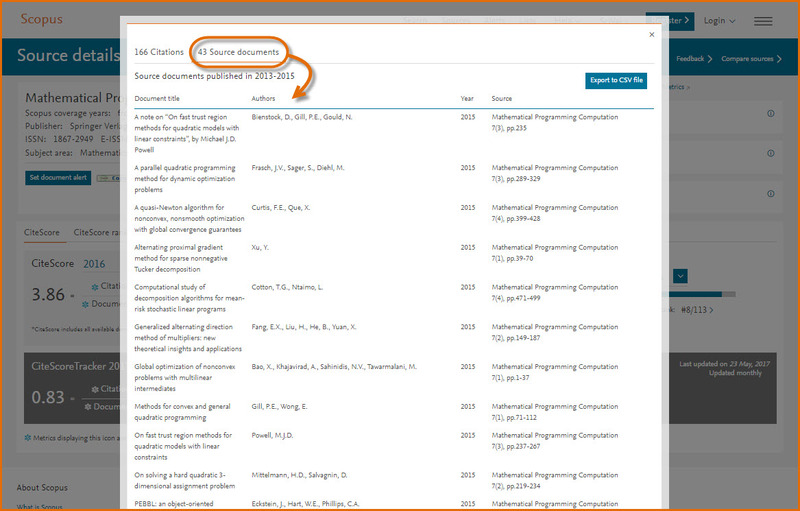 From this window, you can also toggle to the list of 43 documents used for the denominator.